Arizona has a bit of everything for cyclists. The good weather and pristine mountain and road trails bring forth many devoted cyclists. And every cyclist needs a good bike shop! Here in Arizona, there are many top-notch bike shops that cater to everyone from new beginners to experienced pros. Here are the 10 best bike shops for bikes, repairs, and accessories in Arizona. Slippery Pig Bicycles has been a Phoenix favorite for over 15 years. This bike shop has a knowledgeable and experienced staff of riders and mechanics. They also sell a variety of bike models and brands. You can find all sorts of mountain bikes, road bikes, trail bikes, and hybrids at this downtown shop. Slippery Pig also provides parts, accessories, and service for all sorts of bike riders. Their staff is helpful whether you’re a longtime expert or a new beginner. Landis Cyclery has a large catalog of bikes, parts and accessories. This long-standing bike shop also goes above and beyond when it comes to service. Each team member goes through skill-advancement sessions and is able to handle all aspects of bike maintenance. They also offer extras like bicycle fit services, walk-in appointments, and free estimates. Landis combines quality products and service for an all around great experience. Tribe is a one-stop shop for triathletes. This Scottsdale shop is the longest standing triathlon store in greater Phoenix area. Aside from their swimming and running items, Tribe also has impressive bike services. They offer wheel rentals and saddle demos in addition to full service bike maintenance. Tribe also has group rides every Thursday and Saturday for fellow long distance riders. Sun Cyclery has been a go to spot for bikes and bike repair since 1976. They carry Phoenix’s largest selection of bikes for all riders. 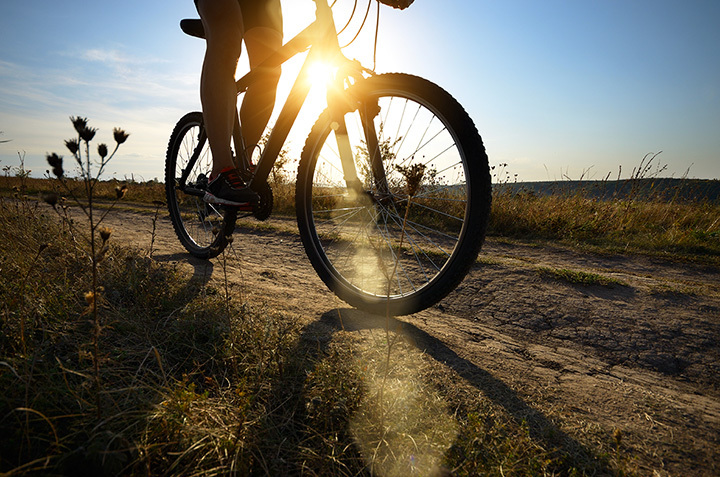 You can find all types of bikes including mountain, trail, road, and commuter at their central Phoenix storefront. In addition to their inventory, Sun is known for having top-level repair and maintenance services. Rage Cycles is a bike shop that specializes in mountain, road, cruiser, and BMX bikes. Though they originally opened in Tempe, they relocated to their current location in the historic Saunders Gallery in 2001. They also have a unique inventory of bike parts that are intended to withstand the rigors of Arizona’s harsh mountain rides. Their staff is also filled with passionate riders that regularly hold biking related events. As a bonus, they even hold a weekly “Free Beer Friday” for their customers. Tucson has spoken, and they’ve deemed Ordinary Bike Shop the best. This bike shop was the recipient of Tucson Weekly’s “Best Bike Shop Award” for 13 straight years. It’s easy to see why. They have a mix of bikes and accessories for bicyclists ranging from beginners to professionals. They also have a knowledgeable staff that can turn even the dinkiest of bikes into a well-oiled machine. Since opening in 2001, Global Bikes has grown from a neighborhood bike shop into a multi-location, nationally recognized name. They now have four Valley locations and have won the National Bicycle Dealers Association’s “America’s Best Bikes Shop” award. They sell a range of road, mountain, comfort, and BMX bikes and have in house repairs and maintenance services. Global Bikes also offers loyal customers free tune-ups as part of their free service for life program. Fair Wheel Bikes has been a Tucson staple since 1973. This bike shop sells everything from high-end road and mountain bikes to casual cruisers. Fair Wheel benefits from having an experienced and passionate staff. Many of their staff are passionate riders and are able to handle everything from the occasional bike tune up to a complete overhaul. Bicycle Haus is Old Town Scottsdale’s premiere bike shop. This shop carries high-end lines of bikes like something out of a cyclist’s dream. You can find high-end brands like Pinarello, Moots, and BMC at their shop. Bicycle Haus also doubles as a cycling team dedicated to racing around Arizona. Their team has grown to over 60 members and they are constantly looking for new racers. Trailhead Bike Café combines coffee, snacks, and bike rentals at their downtown shop. This bike shop has a large selection of rental and demo bikes perfect for a test ride. You’ll find road, mountain, and city bikes as well as gear and accessories at their store. They also have a café with fresh coffee, sandwiches, and pastries for a post ride snack.